Get that streak free, flawless finish that you have always desired, with Inglot Makeup Brush 21T. The flat base with dense bristles will pick the exact amount of product that you want, and watch as the bristles spread it like a dream on your face, to give you that picture perfect finish that you always desired. The super soft bristles are gentle on skin, not at all scratchy, and the wooden handle allows the perfect grip that gives you ample control while application. 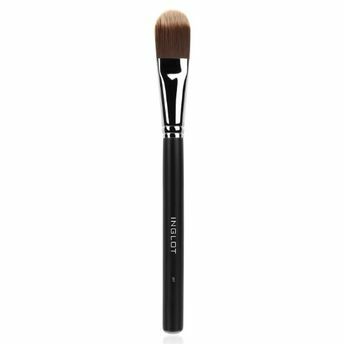 Go flawless with this awesome brush from the house of Inglot. Explore the entire range of Face Brush available on Nykaa. Shop more Inglot products here.You can browse through the complete world of Inglot Face Brush .